The Fleet Green Perspectives Report interviewed 150 fleet managers, asking questions including whether there had been an increase in interest for electric vehicles and what the possible hurdles might be. 87% of respondents said they’d seen increased demand, while 62% believed the supporting charging infrastructure would be good enough in the next 2-5 years. However, anxieties surrounding range were still prevalent, with 82% of fleet managers feeling that current electric cars did not offer sufficient battery charge. The rapidity of charging was also an issue for 31%. Perhaps tellingly, only 26% of respondents knew the average electric-only range of an EV/PHEV. Cost barriers were also highlighted, with 39% of those surveyed believing electric cars to still be too expensive. Nevertheless, 65% of respondents said their organisation’s fleet already includes both EVs and PHEVs – an increase of 27% over 2017 figures. The environment (49%), cost-effectiveness (45%) and legal obligations (37%) were cited as key reasons why fleets will need to include EVs and PHEVs in the future. Furthermore, it seems as if public perspectives are also having a huge impact on fleet decisions, with 71 per cent of respondents saying that their organisation is nervous about purchasing a petrol or diesel car that isn’t EV/PHEV up five percent from the previous report. The survey comes as Kia announced its latest electric car, the e-Niro, was all-but sold out for this year’s allocation (900 units). However, a spokesperson for the company added that their battery supplier was in the process of increasing capacity and this should therefore allow Kia to offer a greater stock in future. In addition, Kia is soon to launch the new Kia Soul EV, as well as showcase an all-new electric vehicle concept at this year’s Geneva Motor Show next month. There’s still some way to go, however, with 83% stating they’d seen shifts to accommodate the switch to electric, yet only 15% felt their local area was equipped to support EVs/PHEVs. 41% cited a lack of charge points being the chief reason why they felt local areas weren’t ready, despite some 14,800 charge points being available in the UK today. 80% of fleet managers expect to see a charging point every 10-30 miles with key locations including company car parks (58%), service stations (57%), petrol stations (55%) public car parks (54%) and at home (42%). And, despite fuel stations having been private for generations, 59% felt the government was responsible for implementing charge points in towns and cities. 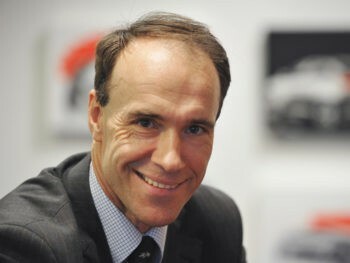 John Hargreaves, head of fleet and remarketing at Kia Motors UK, commented: “It seems that even within just the last 12 months, a lot of progress has been made with regards to the EV/PHEV fleet revolution; public perception has changed, there has been increased demand and local infrastructures are adapting to facilitate the change.